Ready-to-use. For any general concrete work. Proper blend of Portland cement, sand, and gravel or stone. Just add water. Simplifies projects for the DIY and provides contractors with solutions for many jobs. 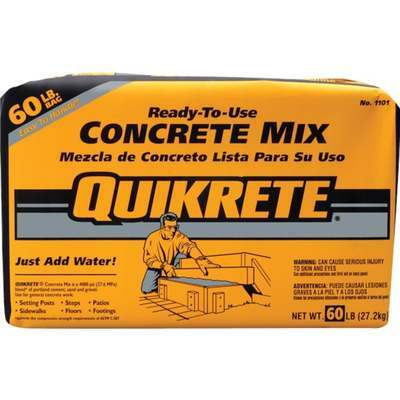 For setting posts, building sidewalks, steps, curbs, footers, and many more projects.